Probably the most important part of casting a project is finding someone your audience can trust. Young adults will have trouble trusting someone who sounds stuffy, stuck-up, or fake; while older people may have trouble believing in a spokesperson who sounds too casual or non-professional. Make sure you know who will be watching or listening to your project before you go listening to every voice that’s out there. 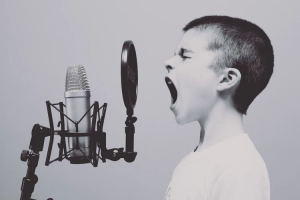 If you’re working with a script that has more than one role, or character in it, you need to think about not only whether the individual talent are the best voices for the characters, but also if they sound good together. If two characters sound too similar, your audience will get confused, and not be able to follow what’s going on. What type of project are you creating? Is it serious? A parody? An ad? An instructional video? Try to find the best voices in the genre or medium you are working in. A professional with the proper experience will elevate your project to the next level. Are you still looking for the best voices for your project? We have a good feeling that you’ll find them on VOICEOVERS.com. Post your casting call with us!